Tom’s practice focuses on energy, environmental and water law and he represents clients in state and federal courts and before the Railroad Commission, Texas Commission on Environmental Quality, the Texas General Land Office, and the U.S. Environmental Protection Agency. His clients range from oil and gas operators and power companies to landowners and local and international environmental groups. Because of his unique engineering, policy, and legal background, Tom enjoys the challenge of technically complex energy and environmental cases. 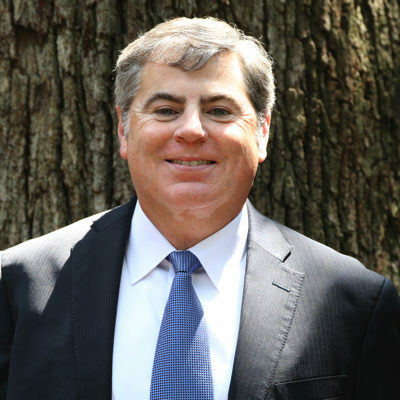 Recognizing that oil and gas, environmental and water law issues often intersect, Tom spearheaded the expansion of the firm’s environmental and water law practices. Notably, Tom was lead counsel in the successful fight against coal-plant expansion in Texas. Prior to attending law school, Tom put his engineering degree to work with Platt, Sparks & Associates, an Austin-based petroleum engineering consulting firm, while simultaneously obtaining a graduate degree at the University of Texas, LBJ School of Public Affairs, where he focused on energy and environmental policy. Tom took a leave of absence from the firm and served as Interim Deputy Chief of Staff & District Director to a serving member of the U.S. House of Representatives (March 2005 – February 2006). Tom served as Acting General Counsel for venture a capital-funded pipeline and midstream limited partnership during permitting and construction of a multi-billion dollar pipeline infrastructure project (March 2018-April 2019). Tom has served on the board of the Texas League of Conservation Voters since 2009 and he is also a founder and former board member of the Dripping Springs Ranch Wildlife Management Cooperative. Tom also served on the Planning Committee of the University of Texas Conference on Carbon and Climate Change. Tom is an avid outdoorsman who likes to hike, camp, and kayak with his wife and two teenagers. He also enjoys traveling, soccer and is a huge University of Texas basketball fan. Representation of clients in litigation involving breach of contract, fraud, trespass, lease termination, lease access, gas gathering agreements, pipeline easements and ROWs, surveying/boundary disputes, surface damages, casing and coupling failures, products liability, and groundwater contamination. Representation of clients before the Railroad Commission of Texas on numerous matters including injection applications and protests, field rule applications and amendments, flaring applications, unitization and Rule 50 applications, gas storage, carbon sequestration, and groundwater and soil cleanups. Representation of clients in litigation involving alleged groundwater contamination, soil contamination, and Superfund claims associated with Texas ports, waste oil recycling facilities, gas processing plants, pipelines, and other industrial facilities. Representation of clients protesting air permit applications for several coal-fired power plants at the Texas Commission on Environmental Quality and in the appellate courts. Represented major Texas port in Superfund negotiations with responsible parties, State of Texas and EPA. Representation of several large independent oil and gas producers and midstream companies in TCEQ and EPA air permitting and enforcement matters. Representation of clients before groundwater conservation districts in permitting (and protesting permit applications for) groundwater wells and water well fields. Negotiated several multi-million dollar sales and purchases of groundwater rights. Represented clients in sales of surface water rights. Assessing the Liability Associated with Geologic Carbon Sequestration – PDF – Presented at Carbon and Climate Change Conference (February 2009).